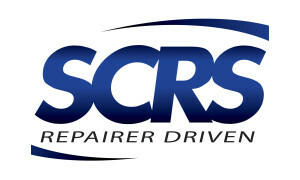 The upcoming SCRS Repairer Roundtable will focus on safety and best practices in an era of changing vehicle materials, the Society of Collision Repair Specialists announced Tuesday. The roundtable will be held 8:30-11 a.m. April 8 during the Collision Industry Conference in Atlanta. Panel members will include Chief Automotive Technologies global training manager Ken Boylan, Reliable Automotive Equipment President Dave Gruskos and I-CAR industry technical support manager Steve Marks. The audience will be able to discuss as well as hear from the panelists on the composition of new vehicles and what it means for collision repair procedures. Aluminum and magnesium, for example, carry corrosion and explosion considerations. The speakers will address “recommendations for preparation and preventative measures every shop should be looking at, whether they are diving into OEM aluminum certifications or working on ultra-high strength steels,” SCRS wrote. Everyone is welcome to attend the roundtable and the subsequent Awards Luncheon at no cost, but reservations are required. Register here or email info@scrs.com by April 3. Two other SCRS meetings will be worth your time during CIC week, both involving the group’s Board of Directors. Meeting: SCRS has also invited the auto body community to an open board meeting ahead of the Collision Industry Conference in Atlanta. The two-hour event from 3-5 p.m. April 7 will allow members and others in the industry to learn more about SCRS and its initiatives. SCRS affiliates, committees and staff will speak. Details: www.scrs.com, 877-841-0660 or info@scrs.com. Election: Immediately after the open meeting, SCRS will conduct the election to the 2015-16 board. Any active SCRS member or representative of a company or state association affiliated with the trade group may and is urged to vote. Applications to represent a company or state organization must be received by SCRS by the end of business April 1. Get them here. The six candidates for four open seats are Amber Alley, Calif., Barsotti’s Body & Fender manager; Mark Boudreau, Va., Spectrum Collision Center owner; Michael Bradshaw, N.C., K&M Collision vice president of operations; Domenic Brusco, Penn., PPG senior manager of industry relations (incumbent); Bruce Halcro, Mont., Capital Collision Center owner (incumbent); and Paul Sgro, N.J., Lee’s Garage.